Vienna 1958: Karel Ančerl wasn’t simply promoting the nation as a model citizen of Czechoslovakia, he also spread his very own humanistic attitude, wherever he was in the world. Yet he never forgot his Bohemian roots. He championed the unpopular oeuvre of Bohuslav Martinů in equal measure to being honoured for his sublime interpretations of works by Leoš Janaček. To this day, his recordings of the music of Antonin Dvořak stand as expressive testaments in sound to a hard-won identity. At the height of his post-war European career, Ančerl liked to visit his friends at the Wiener Symphoniker - not only for 23 concert performances with them by 1970, but above all to record, with them, the epitome of musical freedom. 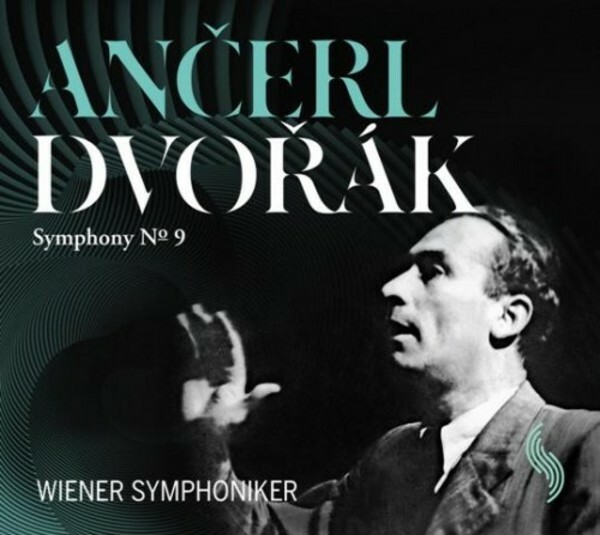 Thus Dvořak’s Ninth, the Symphony in E minor op.95, really does sound like it comes 'From the New World'. From a beautiful, new world that is proof of the universality of art, that is radiant in a belief in beauty, harmony and humanity. A radiance that could hardly travel more directly from the recording to the hearts of an uplifted audience.